"What he did see was a black boy walking down a street with a chain link fence with the audacity to ignore the police," a special prosecutor said. 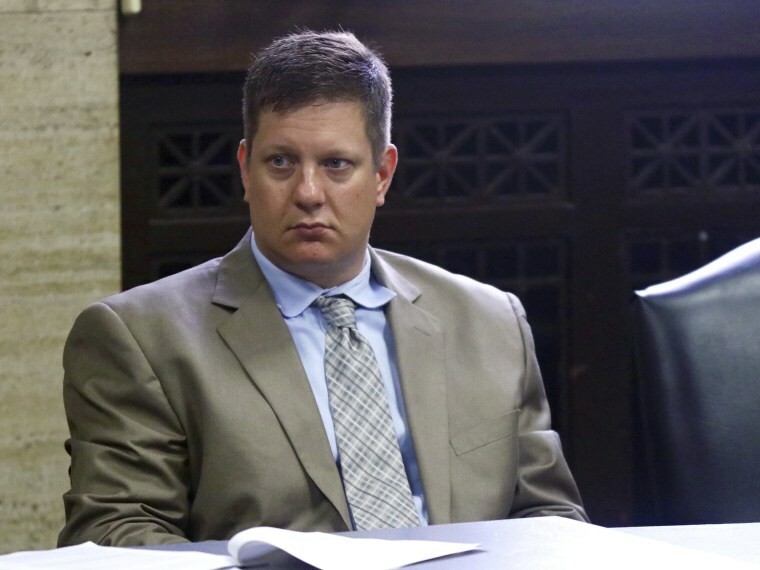 CHICAGO — Prosecutors on Monday showed jurors video of a white Chicago police officer opening fire on black teenager Laquan McDonald, saying the 2014 fatal shooting was "completely unnecessary." The video shows Officer Jason Van Dyke shooting McDonald 16 times as the 17-year-old, carrying a small knife in one hand, walks away from officers. Special prosecutor Joseph McMahon told jurors that "not a single shot was necessary or justified" before showing them the video 15 minutes into his opening statement as the trial got underway. But defense attorney Daniel Herbert argued that Van Dyke "is not a murderer. ... He is a scared police officer who was fearful for his life and the life of others and acted as he was trained to do." Herbert painted a picture of McDonald as a crazed young man who had attacked a truck driver and a squad car and had tried to get into two restaurants. He said McDonald had flicked his folding knife open again when Van Dyke pulled up. McDonald was "planning to attack" again, Herbert said. "He’s not trying to escape." But McMahon said Van Dyke didn’t know that — or anything else about McDonald’s background. Yet Van Dyke opened fire just six seconds after getting out of his squad car, McMahon said. "What he did see was a black boy walking down a street with a chain link fence with the audacity to ignore the police," McMahon said. Van Dyke has pleaded not guilty to first-degree murder, aggravated battery and official msiconduct. Prosecutors on Monday dropped four counts of first-degree murder, but Van Dyke still faces two first-degree murder counts. Other officers at the scene have been charged with lying on their reports in what prosecutors say was an effort to cover up what happened to protect Van Dyke. Earlier Monday, Cook County Judge Vincent Gaughan decided against moving the trial from Chicago. In asking that the trial be moved, defense attorneys had argued that extensive publicity since the 2015 release of the video of the shooting makes it impossible to find impartial jurors needed for a fair trial. But attorneys were able to select a jury in less than a week.